The latest details and screenshots. 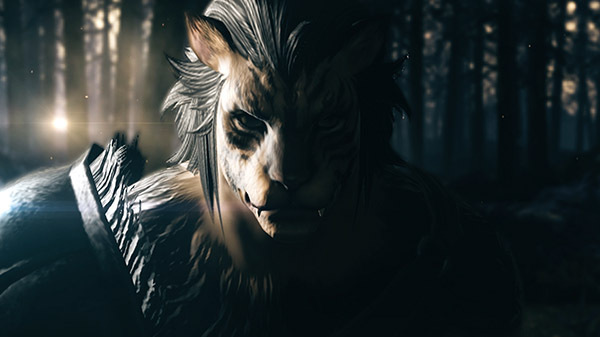 Square Enix shared the latest details on Final Fantasy XIV expansion “Shadowbringers” at Final Fantasy XIV Fan Fest Tokyo 2019, including the reveal of the Hrothgar race and Dancer job. Final Fantasy XIV: Shadowbringers will take players to the First World and the realm of Norvrandt. This marks the first time Warriors of Light will journey across dimensions and into a land similar, yet different. Here they must become Warriors of Darkness to restore night and save the world from the apocalypse the Flood of Light promises. The Crystarium – Located in Norvrandt, this city will serve as a player hub. 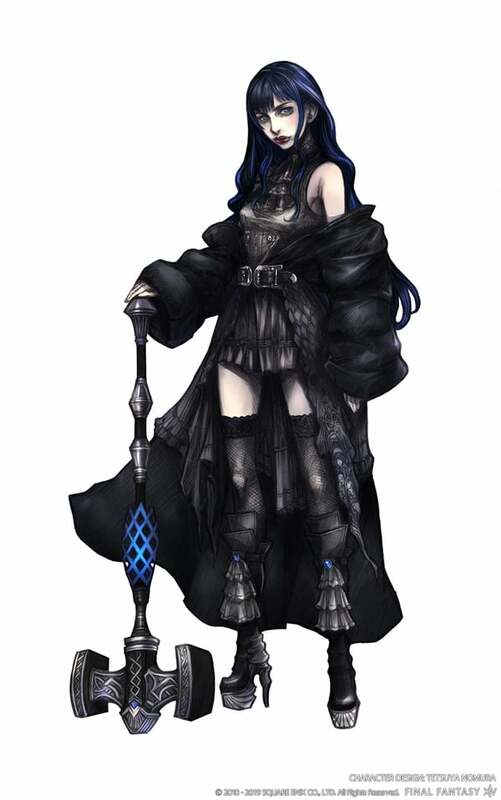 Eulmore – An affluent city ruled by the elite that will play a key role in the Final Fantasy XIV: Shadowbringers main storyline. Dancer joins Gunbreaker as one of the new jobs in Final Fantasy XIV: Shadowbringers. This ranged attacker not only unleashes powerful attacks using throwing weapons, but also performs dances to execute abilities and provide beneficial effects to their party. New Raid: Eden – This new high-end raid content will feature multiple challenging bosses, as well as a new character (Gaia)—both designed specifically for this raid series by Kingdom Hearts director and Final Fantasy series veteran Tetsuya Nomura. 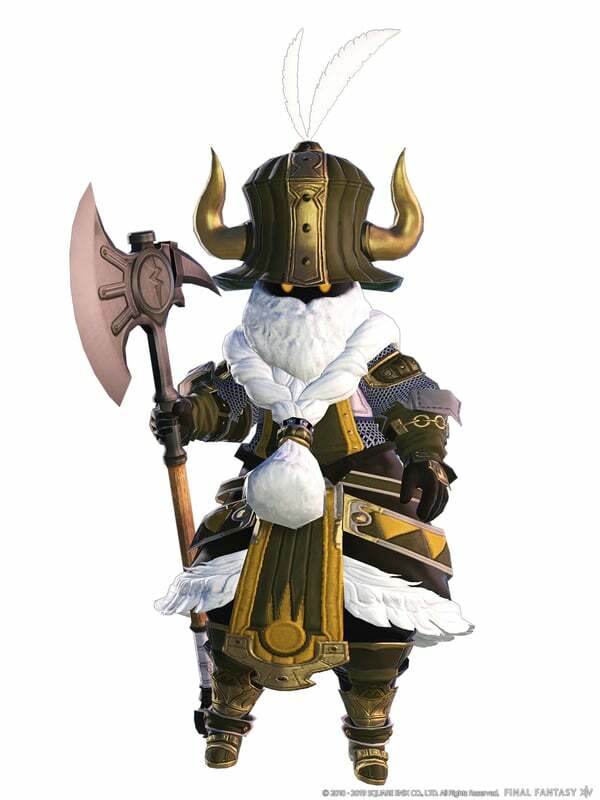 The Hrothgar player race compliments the recently announced Viera as the second new playable race in Final Fantasy XIV: Shadowbringers. 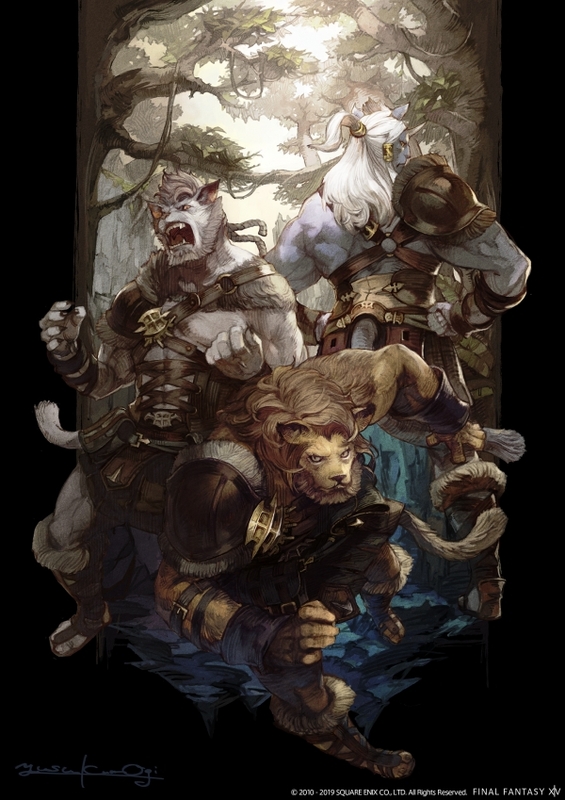 The Hrothgar and Viera will both have unique, customizable features specific to their races. Watch the latest set of trailers below. View the latest screenshots at the gallery.